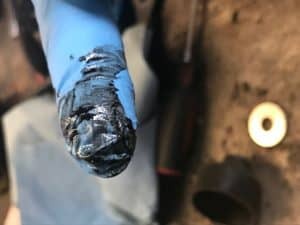 A fleet fueling company in the Northeast recently contacted us regarding a black, coffee ground-like substance suffocating a number of their fuel filters. 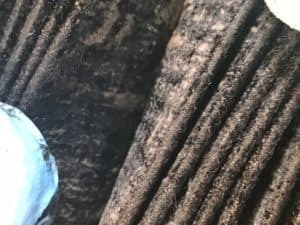 After a fuel sample analysis revealed no evidence of water or microbial contamination, our initial suspicions were confirmed; it was a classic case of thermal oxidation. Thermal oxidation is technical way of saying that the fuel broke down into carbonaceous particulate matter, or soot, after essentially being cooked by the vehicle’s engine. This has become an especially familiar scenario over the past decade, as ultra-low sulfur diesel fuel (which is less thermally stable) is exposed to the extreme temperatures and pressures of today’s high-efficiency diesel engines. When thermal oxidation occurs, carefully engineered components no longer work as intended. Carbon deposits not only foul injectors, but they also get returned back to the saddle tank via the re-turn fuel line. 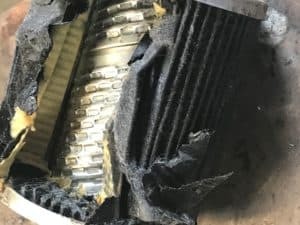 This circulates dirty fuel throughout the entire fuel system, potentially causing premature fuel filter plugging, loss of horsepower, and significant loss of fuel economy. Years ago, when we would inspect fuel system performance, we would focus on carbon deposits built up on the injector tip. 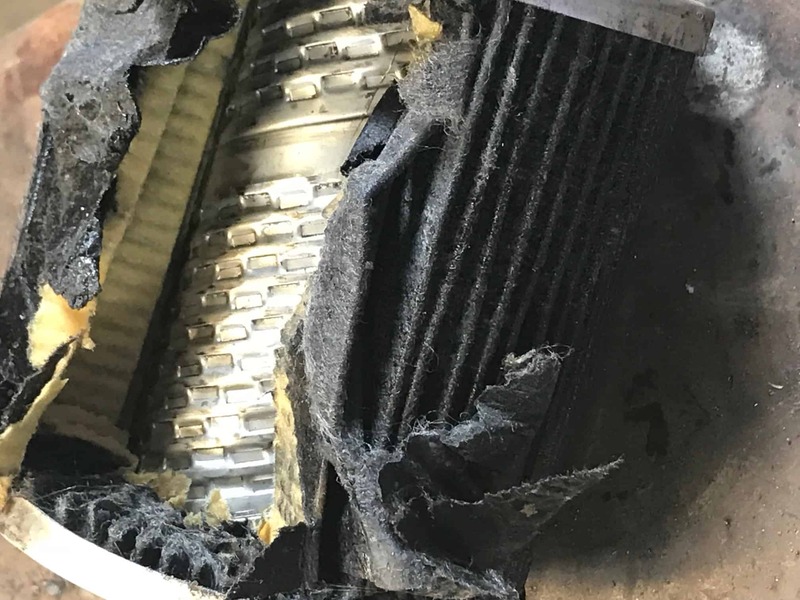 Today, we are finding that thermally stressed ULSD is causing stubborn deposit build up around the injector valve seat, nozzle injector tip, and control valve, inhibiting fuel flow and adversely affecting engine performance. Fortunately for our client, we have developed a solution to stabilize ULSD against the extreme temperatures and pressures of modern injection systems. We are currently working with them to employ an anti-foulant treatment strategy that will combine an advanced detergent balanced by twin stabilizers, corrosion inhibitors, and moisture dispersants to protect and clean sensitive fuel injectors and the entire fuel handling delivery system. Once the additive package has stabilized the fuel, carbonaceous deposits will recede; injectors and filters will remain clean; horsepower and fuel economy will be restored; and harmful emissions will be reduced as the engine is restored to its optimum state. If you’ve experienced any filter issues or other fuel-related problems, contact us today for a free consultation.